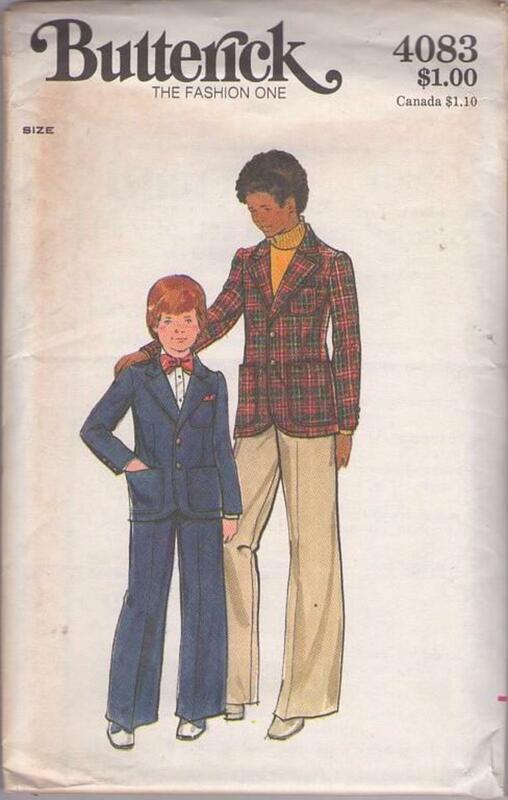 Bust 27", Waist 24", Hips 38"
70s Children, Retro Boyswear Clothing Pattern - BOYS' JACKET & PANTS Semi-fitted, lined jacket has notched collar, full-length two-piece sleeves with vents and button trim, patch pockets, center back vent, and topstitch trim. Straight-legged pants have slanted front pockets, belt carriers, and hook and eye waistband. Purchased shirt, tie, and turtleneck.